Aside from the new butler tech, it’s business as usual. The cabin is typical Range Rover luxury but updated from from the rest of the line up. The main difference is something Land Rover are calling ‘reductionism’. Basically they’ve removed as many physicals buttons as possible to give a cleaner overall look. In place of the buttons are not one, but two 10 inch screens. 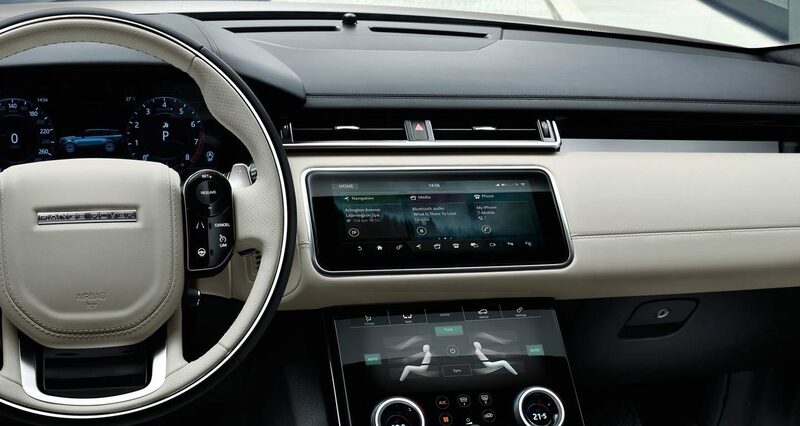 When it comes to powering the Velar you have five options. At the bottom of the pack there’s a sensible 2.0 litre four cylinder diesel. It produces 178bhp, is good for 0-60mph in 8.4 seconds, a top speed of 130mph and more than 52mpg. There’s a higher spec diesel engine with 237bhp. This drops the 0-60mph time to 6.8 seconds. You could also have a 3.0 litre diesel V6 with 296bhp, 0-60 in 6.1 seconds, a top speed of 150mph and about 44mpg. For the Petrol lovers out there you can spec a 2.0 litre turbocharged four pot with, 247bhp or 296bhp. But if you still want more, there is a supercharged 3.0 litre V6 with 375bhp. Check this option box and you’ll see the 0-60 drop to 5.3 seconds but the mpg falls with it to 30mpg. Spec levels range from standard Velar, through the usual S, SE and HSE specs. A sportier appearance is available if you go for the R-Dynamic kit. Prices start at £44,830 and go to £72,000 for V6 HSE spec. Despite slotting into a gap under the Range Rover Sport the Velar is still more than capable of performing off road duties. 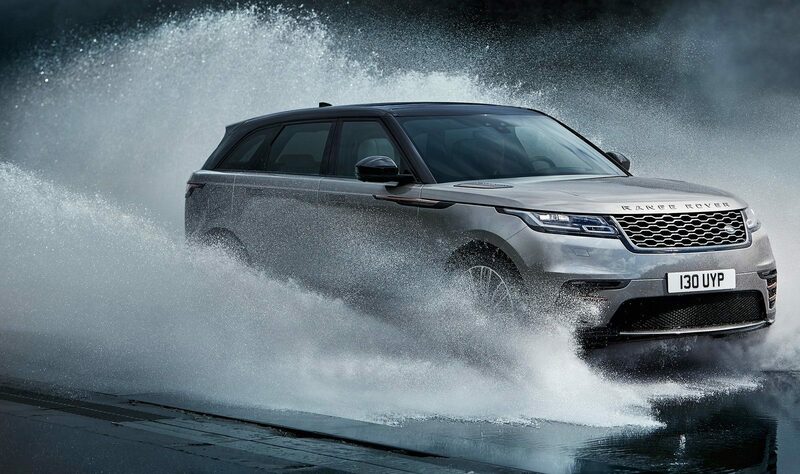 It comes as standard with Land Rover’s manual Terrain Response system while the more advanced Terrain Response 2 – with its automatic grip-sensing mode and All Terrain Progress Control – is an option. Should you wish, the Velar is also capable of towing 2.5 tons. This entry was posted in News and tagged Range Rover Velar.